Say it isn't so! Well, we'll miss you. While our annual Open House is a wonderful opportunity for people to come and meet the horses and enjoy a great day at the farm, it's also an opportunity for us here at Mylestone to get to see our old friends and make some new. So of course, we'll miss you if you can't attend this year. As you know, Open House is Mylestone's biggest fundraiser. 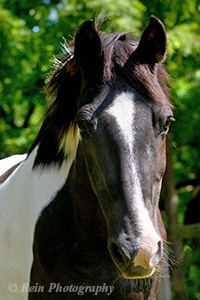 Your participating in our silent auction, buying goodies at our bake sale, bringing home some Mylestone merchandise, and even sponsoring a horse or two is a big help towards supporting our rescued residents and all our efforts on behalf of horses. We do hope, even if you are unable to attend this year, that you will participate and help out with a special Open House donation. 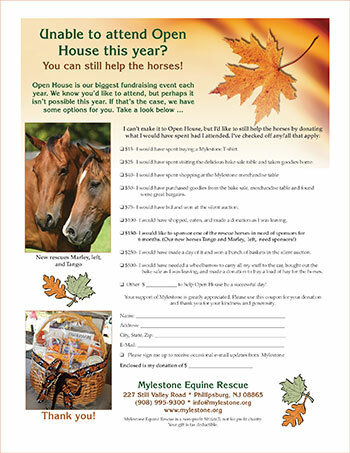 If you download this flyer, you can imagine you are bidding on some outstanding baskets, enjoying some yummy treats at the bake sale, and enjoying a little time with our most recent rescue horses - Phebe, Marley, and Tango. 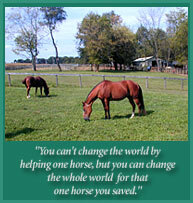 You might even want to sponsor one! We greatly value your support, and we'll be extremely grateful if you attend in this special way. Thanks, and we hope to see you next year!